When you buy a new car, you take it for a test drive. When you buy a new mattress, you spend some time lying down to see how it will feel. When buying clothes you always try them on. What about a buying a hot tub? Can you take a spa for a test drive? As it turns out you can. Many hot tub dealers have display models fully operational and ready for a soak. Don’t worry; these models are in private areas but you’ll be welcome to bring your bathing suit and give them a whirl. One of the most difficult things about owning a hot tub is actually getting out of the hot tub. Those soothing waters and pulsating jets are the perfect remedy for after a hard day’s work. For anyone suffering from arthritis, high blood pressure and diabetes the warm waters of a hot tub could actually be prescribed hydrotherapy. How have you lived without a hot tub for so long? Of course, you could be stuck with a hot tub that isn’t doing you any good. If the tub that is currently on your property has seen better days, then maybe it’s time to make the switch out with a responsible hot tub disposal. To get that job done, you need to bring in the pros. 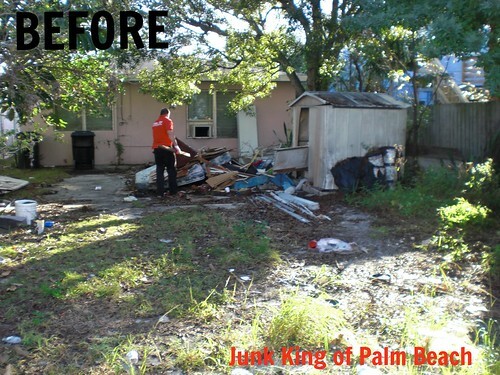 We’re talking about Junk King Palm Beach, the junk removal experts. This entry was posted in Uncategorized and tagged hot tub, Junk King, Junk King Palm Beach, junk removal, Palm Beach Hot Tub Disposal, spa, test drive on January 31, 2014 by Dave Archer. Last updated July 31, 2017 . Are you ready for the big game this weekend? Maybe you’ve recently upgraded televisions or purchased a sleeker refrigerator for your game day celebrations. 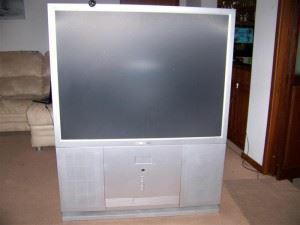 If you’re hosting a Superbowl party, the last thing you likely want sitting in your front yard or living room is your old television or antiquated fridge. 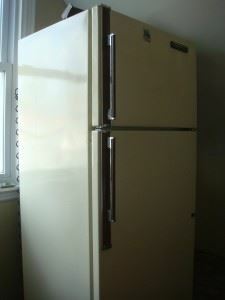 Junk King can haul your old appliances away and will recycle what we can for an affordable price. We’ll do the heavy lifting so you can focus on the party prep and the chicken wing dip. Mmmm. Dip. Call us today! There’s still time. And, good game! This entry was posted in Uncategorized and tagged Appliance Removal, Lake Worth Television Removal, Television Removal, West Palm Beach Television Removal on January 28, 2014 by Dave Archer. Last updated July 31, 2017 . Did you know Junk King of Palm Beach dismantles and removes hot tubs and then recycles what we can? If you’ve been putting off the project, give us a call. Our professionals will gladly remove this for you with a quick turnaround! 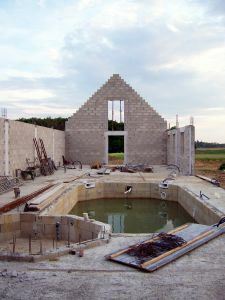 Maybe you’ve purchased a new home and it came with an eyesore. Or, maybe it’s time to haul off your existing hot tub. We are prompt, affordable and professional and we love making spaces nicer! 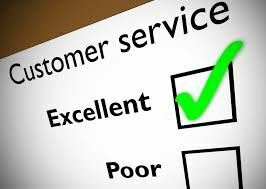 Just read what our customers are saying about us! 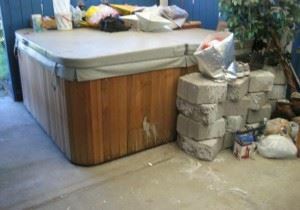 This entry was posted in Uncategorized and tagged Cheap Hot Tub Removal, Lake Worth Hot Tub Removal, Miami Hot Tub Removal, West Palm Beach Hot Tub Removal on January 23, 2014 by Dave Archer. Last updated July 31, 2017 . Have you recently purchased a new property and inherited a junk yard? Or, has your own backyard become cluttered with miscellaneous items? Life is busy and can be overwhelming. Let us help you take back your yard. Junk King of Palm Beach would be happy to haul those unwanted items away, recycle what we can, and leave your yard looking clean again! The job below was taken care of in an afternoon much to the property owner’s delight! It’s an amazing difference, right? Call us today! 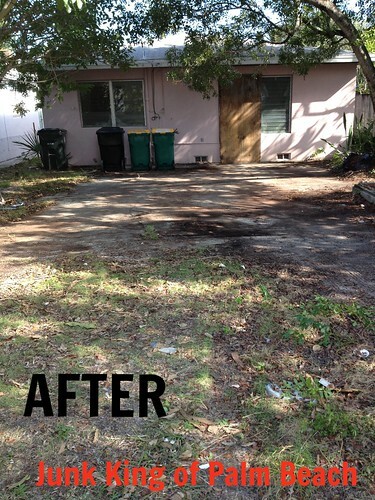 This entry was posted in Junk King, Junk King Palm Beach, Junk Removal Palm Beach, Junk removal West Palm Beach, Palm Beach Junk Recycling, Palm Beach Junk Removal and tagged Junk King Before and After, Shed Removal Florida on January 21, 2014 by Dave Archer. Last updated July 31, 2017 . There is no escaping the fact that buying a mattress is a major purchase. You’re making an investment in an item that you hope will last at least eight years. That is the amount of time you want to stick with a mattress. Anything beyond those first eight years is just going to mean you’re sleeping on a bed that isn’t delivering what it should in terms of comfort. There is nothing wrong with bargain hunting for a good mattress. For instance, if you can hold out for a holiday weekend like Labor Day or Memorial Day, you’re sure to find better discounts. 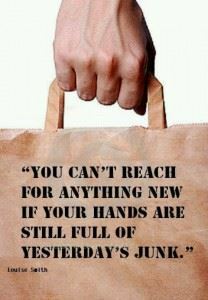 However, this doesn’t mean you should skimp on quality. Look at it this way: one third of every day is going to be spent on that mattress. Do you really want it to be below par? This is why you need to take your time when buying a mattress. Start with a little web research. What you might uncover is that there are just a few major manufacturers who are making several brands of mattresses. In other words, the name brand from one showroom is the same mattress as the unrecognizable brand because they came from the same factory. You also want to take your time as you try out your mattress in the store. Don’t just hop on the bed for a minute and hop up again. Stay there for at least 5 to 10 minutes. Catch up on your reading if you have to! This is really the only way to get a true assessment of your mattress. Once you get your mattress delivered, you need to allow for a period of adjustment. It might take up to two weeks before your body adjusts to the new firmness. Give it time. However, if after three weeks your mattress isn’t a good fit then take it back and try again. Would you want to spend the next eight years sleeping on something that is uncomfortable? As soon as you’ve set up the delivery of your new mattress, you’ll want to arrange for the mattress disposal of your old one. While it is true that many mattress dealers offer removal, they can’t off all the services of Junk King. These are the professional junk haulers who can take away your old mattress and any other bulky item you want to finally toss out. This is your opportunity to finally clear out all the stuff that is taking up valuable space in your home. 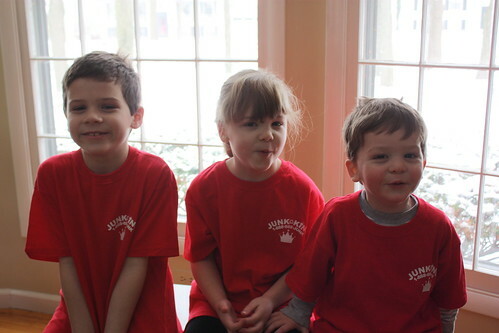 Junk King provides the movers, the truck, and the disposal all for one low price. Call them today and you’ll be sleeping soundly before you know it! This entry was posted in Uncategorized and tagged Junk King, mattress, Palm Beach Mattress removal on January 21, 2014 by Dave Archer. Last updated July 31, 2017 . This entry was posted in Furniture Removal Palm Beach, Junk King, Junk King Palm Beach, Junk Removal Palm Beach, Junk removal West Palm Beach, Palm Beach Junk Recycling, Palm Beach Junk Removal, Uncategorized and tagged best customer service, customer feedback, customer reviews, Junk King of Palm Beach Customer Service, Junk King of Palm Beach Testimonials, Palm Beach Junk King Customer Reviews, testimonials on January 15, 2014 by Dave Archer. Last updated July 31, 2017 . The Chamber of Commerce of the Palm Beaches recently hosted our ribbon cutting ceremony. The event celebrated our business launch and our new status as Chamber members. 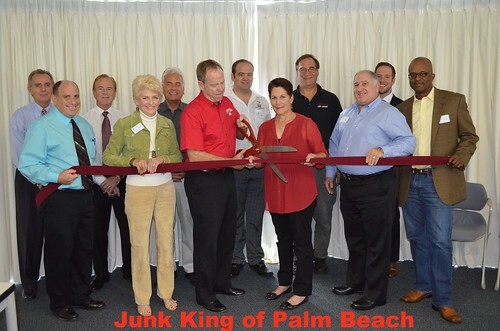 Junk King of Palm Beach County is a locally owned business dedicated to professional, eco-friendly junk hauling. We are thrilled to be serving the town we call home! This entry was posted in Furniture Removal Palm Beach, Junk King, Junk King Palm Beach, Junk Removal Palm Beach, Junk removal West Palm Beach, Palm Beach Junk Recycling, Palm Beach Junk Removal, Uncategorized and tagged Chamber of Commerce, Chamber of Commerce of the Palm Beaches, ribbon cutting ceremony on January 13, 2014 by Dave Archer. Last updated July 31, 2017 . 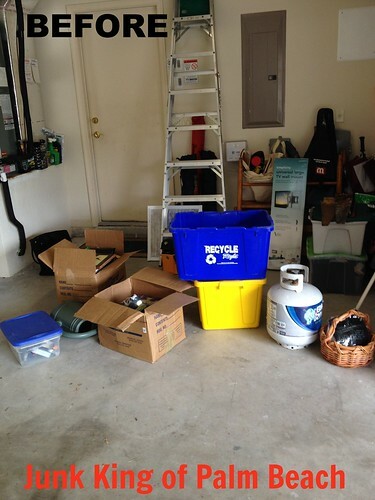 It’s a new year and it’s the perfect time to reclaim your garage! 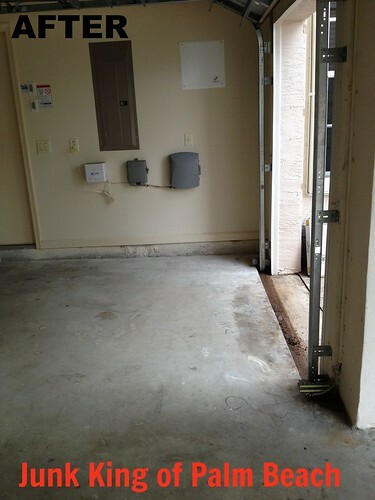 If your garage has become a dumping ground of sorts, let us help you take back your space and gain peace of mind. Junk King would love to help you, like we did these folks. Check out the before and after! Call us today for an estimate - 1.888.888.JUNK (5865)! We’ll do the rest. 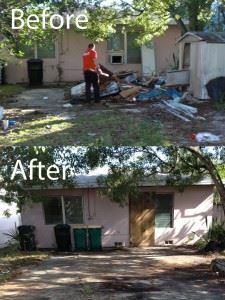 This entry was posted in Furniture Removal Palm Beach, Junk King, Junk King Palm Beach, Junk Removal Palm Beach, Junk removal West Palm Beach, Palm Beach Junk Recycling, Palm Beach Junk Removal, Uncategorized and tagged Cleaning Garages, Junk King Before and After on January 7, 2014 by Dave Archer. Last updated July 31, 2017 . We’re Going To The Show! Tomorrow, Wednesday, January 8th, Junk King will be at the Palm Beach County Convention Center for The Show. What’s The Show? Glad you asked! The Show is a statewide conference dedicated to educating Florida’s community association professionals. It is designed to help “Board Members, Managers, and Service Providers of Condominium Associations, Cooperatives, HOAs, Timeshares, and Mobile Home Communities.” In addition to these great folks, it looks like we will have some fun company. PS Remember to like us on Facebook for updated news and promotions! This entry was posted in Furniture Removal Palm Beach, Junk King, Junk King Palm Beach, Junk Removal Palm Beach, Junk removal West Palm Beach, Palm Beach Junk Recycling, Palm Beach Junk Removal, Uncategorized and tagged Florida Community Associations, Palm Beach County Convention Center, The Show on January 7, 2014 by Dave Archer. Last updated July 31, 2017 .